Have you tried one of the drinks ?? These are common drinks you can found at any local store's refrigerator. One of the my favorite would be Milo. Because it perceived as healthy and tasty I guess. Surprisingly, you will find out 10 of these beverages inside the image above were different. They are not in the same brand and company. Milo, most successful beverage in Malaysia no doubt everyone recognized it. If you ask what drinks teenagers and adult in Malaysia prefers it would be Milo. As soon as after they do not drink baby milk, they started to drink Milo because their parent approved it. Heaven and Earth, one of the widely advertised canned drink brand in Malaysia of the year 2014. The heaven and earth green tea as shown above, it was manufactured in Singapore. It is a pure green tea flavored drink thus, it is the lowest sugar and carbohydrate as well as energy(kcal). 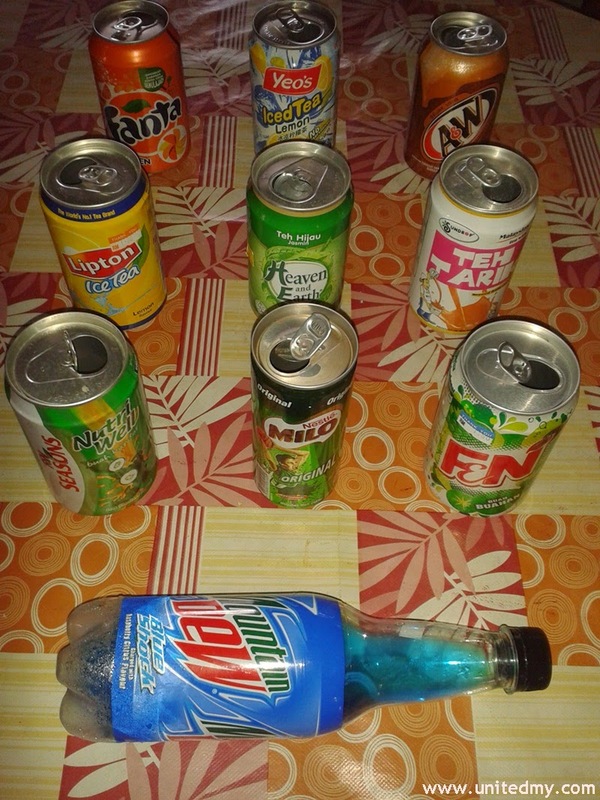 Mountain Dew, exclude/avoid at any cost to drink this if you have some kind of disease related to diabetes. 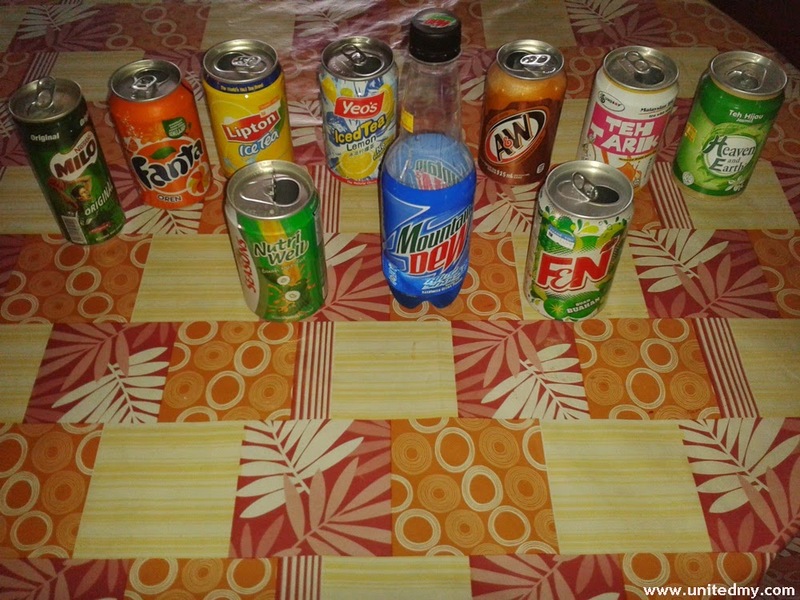 It one of the most successful drink worldwide and the sugar inside this drink is concentrated.